One quick comment I intended to include above: Satannish? It always sounded like a weak cop out. "I sold my soul to Satan!" Sounds like a lazy devil! The child is safe and the woman complains of rats and cockroaches and Val asks why she doesn't live elsewhere and the woman blasts her about welfare and the value of the lives of the poor, talking about eating dog food so her child can have milk. Val takes her somewhere safe. Meanwhile, Kyle Richmond is moping because Trish Starr walked out on him, saying he wouldn't commit and her lost arm made it worse. His friend Ginny tries to cheer him up, when some slimy real estate scumbucket (why does that sound familiar....) Harold Holliman starts yapping at him about investing in a scheme to build luxury high rise condos, on the lower East side (yeah, that's really familiar...) Kyle tells him to talk to Pennyworth, wipes off the ooze coming from Holliman, and heads out. In Greenwich, Val has brought the woman and her child to the Sanctum, where Wong serves tea, Clea bounces the baby, and Hulk makes goo-goo eyes! Outside, a shadowy figure is lurking near the window, watching. Kyle shows up and scares him off. While this happens, back at the tenement, some masked and strangely dressed figures fire into the building, setting it ablaze, trapping a blind black man. There is tak of immigrants and the unwanted and inferior, as the building burns. The Defenders offer to go with the woman, Elena, to get things for the baby and see the conditions of the building, as she has described them. They find the remains of the fire and then Holliman sludges in and accuses the tenants, most of whom are black or other minorities, of setting the blaze and calls one who accosts him an ape, spitting in the man's face. Now it's on and the defenders have to break things up before it turns tragic. 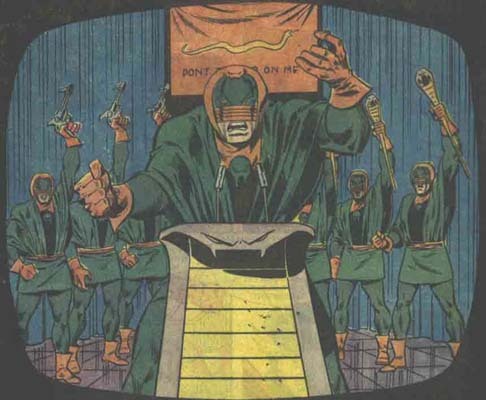 They are then attack by the people who started the fire: The Sons of the Serpent (Marvel's KKK). Val, Nighthawk, Hulk and Doc start smacking around snakes like it is Whacking Day! They run off, after making some more threats. Thoughts: Hmmmmmmm......slumlords, racists attacking immigrants and people of color, sleazy real estate developers wanting to raze neighborhoods to build luxury condos..........Talk about ripped from the headlines! This actually an old story, as New York and other urban environments have always grappled with slumlords who exploit and terrorize the poor inhabitants, who can't afford better, insurance scams to burn down buildings, and gentrification; not to mention, old fashioned racial bigotry and cowards who hide behind masks to terrorize, to blame and make up for their own failures. The rat bit was a bit too New York Post. I'm surprised Gerber didn't through in sewer alligators on top of things! It's pretty obvious where this is going. Holliman is probably trying to drive away his tenants, cop the insurance money, get his condos built and make a massive fortune. He used the Sons of the Serpent to do it, especially since he shares their twisted ideology. 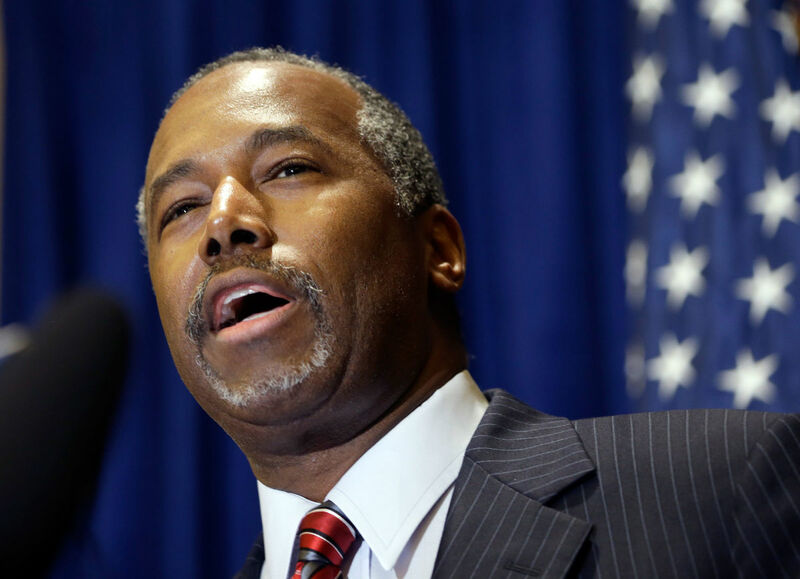 I'm sure he has been cited under the Fair Housing Act (like someone else I could name). Lot's of social crusading here, including Gerber's attack on welfare programs that don't do enough to make a real difference in people's lives (which is a far more complex issue than Gerber gives space to) and the wealthy who get richer off of exploiting the poor. get comfortable, as the Defenders series became Gerber's platform for commentary and satire of all kinds of things, from bigotry and economic oppression, to the media, encounter groups (especially EST), and more. Our lurking figure says something about "It is her!" before running away; so, he appears to be tied to Barbara's past, which was the source of Val's moping, at the start of the book. Nice bit of set-up here (if occasionally heavy-handed). Can't wait to see what happens next! Creative Team: Gerber & Buscema, Vince Coletta-inks, June Braverman-letters, Don Warfield-colors, Len Wein-editor. The guy with the stick must be the leader. Personally, I'd rather have the gun! The Defenders rush outside, as they hear an explosion. A large section of lower Manhattan is on fire. 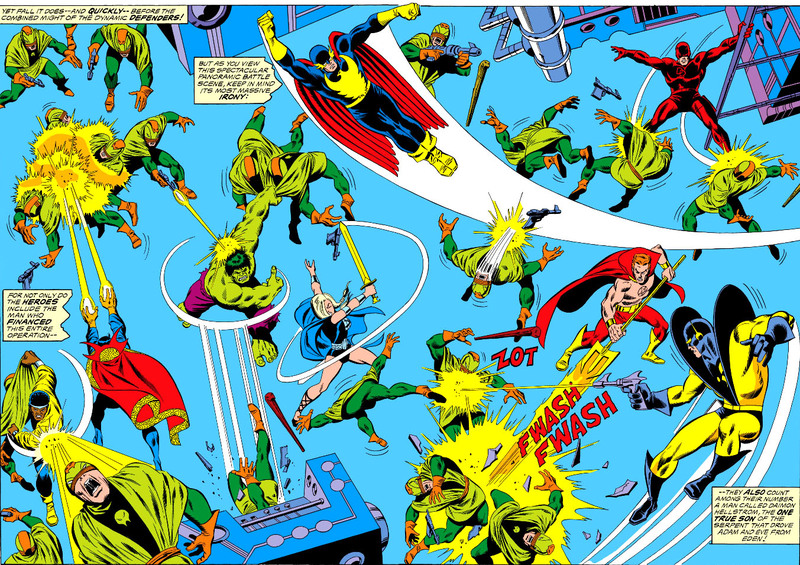 They rush to contain it, with Hulk acting as a one man demolition crew and fire suppression unit, while Yellowjacket swoops down to rescue bystanders. Jack is surprised that Val is leaving him and she says she isn't the woman he wed. get ready for a lot more of this! Hank gets zapped from behind, by the Snakes. Doc, Nighthawk and Val interrogate Harold Holliman, after Doc scares the Chateau Rothchild out of him, and he cries innocence. Doc believes him (So he wasn't the mastermind; just an opportunist!) and they had back to NY and meet up with Hulk. They get attacked by snakes, who take all out, including the Hulk (one upping Thunderbolt Ross!). 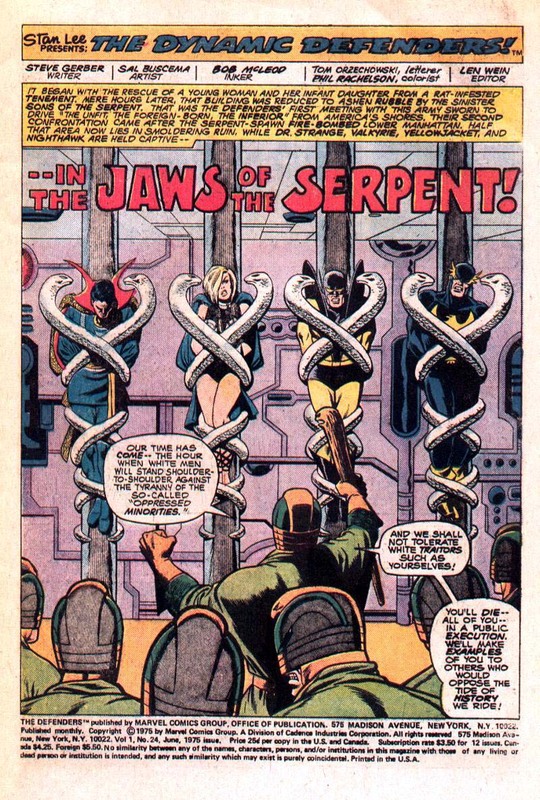 The unconscious Defenders are taken off to be executed, before the Supreme Serpent (a King Cobra, no doubt...); but, leave the snoozing Hulk behind (as he reverts to Banner). 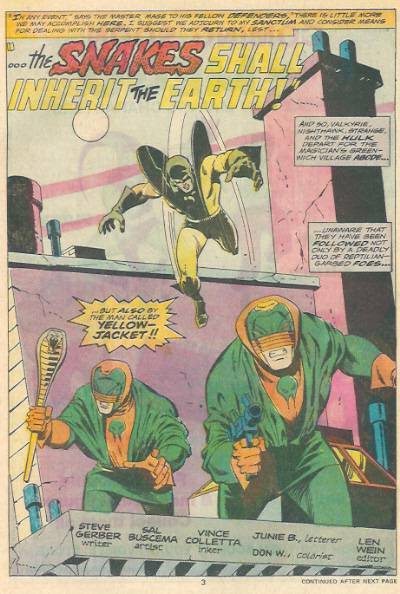 Thoughts: Well, now; Yellowjacket joins the fun, we find out the lurking figure is Jack Norris, the Defenders get Pearl Harbored by the Sons of the Serpent and Harold Holliman is innocent of being involved in the fire, though he is still a bottom-feeding, scum-sucking, sorry sack of s@#$! Business is definitely picking up! Jack Norris has made his official debut, though Barbara's debut included someone named John; are they the same guy? Doesn't seem to be the case; but, that is pretty coincidental. We'll have to see if someone forget to connect a dot or what. The Serpent broadcast is done with a single illustration on another page of text. Quite frankly, these just make me want to skip to the next page. Gerber is trying to find a compromise between prose writing and comic book; but, this isn't working quite as well. Byron Preiss' Fiction Illustrated line tried doing the same kind of thing, though he let the illustration dominate the page, while Gerber's has the text overloading the visual. It's too static for comics like this, where action dominates. Val continues to be depicted as an emotionally brittle female, rather than a bold warrior maiden. Drama is great; but, when it requires Val to act out of character, it just doesn't work. This is the main problem I have with the whole Jack and Barbara Norris subplot, that runs on waaaaaaayyyyyy too long. Val, at least, improves and gets back to be her old, bad self; but, Jack pretty much remains a tool. Marvel was always about soap opera; but, in the Defenders, it became a bit too literal. The Sons of the Serpent are fine, as masked thugs go; but, you never really get into how they are being bankrolled and supplied. They have high tech and have fought the Avengers and, now, the Defenders. Snakes make for good evil imagery (ask classic religious painters and George Lucas); but, these guys are almost as big a bunch of losers as Egghead. 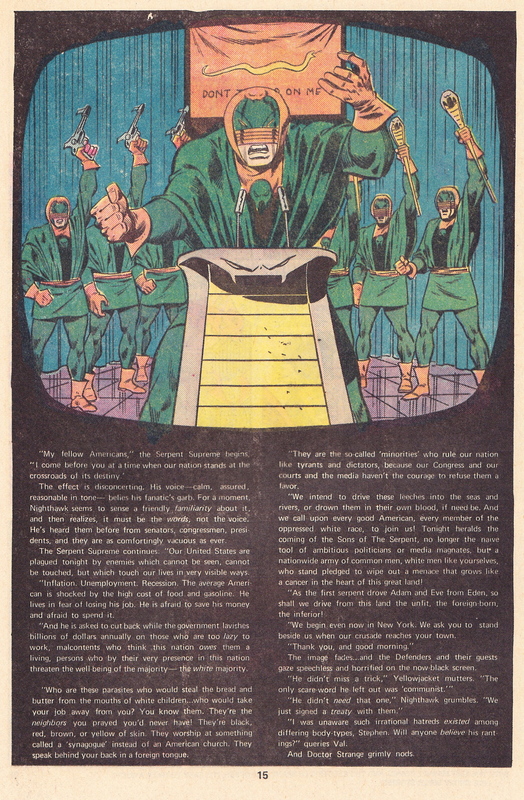 They were created by Stan Lee to be a KKK analog, instead of just attacking the Klan, as Don Mcgregor later had the cajones to do (some 20+ years after the Superman radio show did). 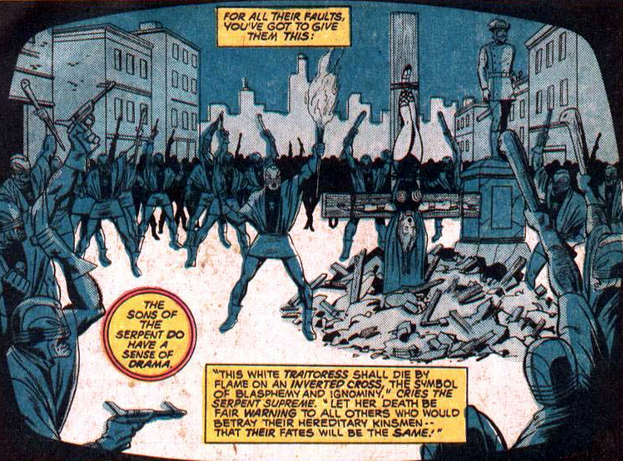 Marvel (and comics, in general) had a long history of being afraid of angering certain groups, even when they deserved it, such as the Maggia, the stand-in for the Mafia. Simon & Kirby had the testicular fortitude to call out the Nazi bundists, in 1941 and Jack continued to call a Nazi a Nazi. Stan was a lot more wishy-washy (so were some of the other editors and the folks at DC). Don McGregor, in his Black Panther run, said "To heck with this..." and threw in the real thing, to great effect. Still a pretty good storyline, that is building well, even if the Defenders seem overly weak. You know, I kind of noticed that this sort of thing seemed to crop up big time, for a period in the early to mid-70s. It was still there in the Silver Age; but, nowhere near as much as in the Golden Age/early 50s, before Wertham made a big deal about it. It seems to coincide with the easing of restrictions in the Code, much like the increase in horror comics. It kind of slacks off again, becoming only a sporadic attention device for covers, in the ensuing decades. Still, check out some comics of the 70s, especially things with female characters, like Lois Lane and Wonder Woman, not to mention a whole lot of horror covers and sword & sorcery books. They rant on about driving out immigrants and minorities with fire, sending them to the suburbs, where they ill be attacked to keep them out (or let in, maybe). Val, the whitest Defender of all, tells off the dumb-asp, the starts acting like the Valkyrie we know and love, as she breaks free of her bonds and starts kicking tail, until she unmasks one as a woman and reveals that the enchantments that grant her power will not let her harm another female. Val gets zapped by a raygun (she can break steel and stone; but, one little blaster and it's lights out!). The female snake lords it over the male chauvinist Sons, who tell her to "shaddup!" Back at the Sanctum, Banner wakes up, fills in Clea and Jack Norris and then asks Clea to mystically contact help. She gets Damian Hellstrom and Daredevil on the Psychic Hotline, before succumbing to female weakness, leaving Banner to use the telephone to hir Luke Cage. He and DD meet up at the front door, just in time to see ole Satan's fair-haired boy show up in his pimped-out 3 horsepower chariot. Even Daredevil thinks he's taking the Devil thing too far. He detects two heartbeats in Damian, his human and his demonic, kept suppressed within). They head inside and Clea introduces them to their captive snake. Jack flips out and runs off to save her, Banner Hulks up and runs off to save her, and DD and Luke Cage go after them to save anyone who might get in the way. They arrive on the scene and Damian's chariot, with Luke Cage on shotgun, disappears into a hole in the air! Hulk starts smashing snakes and DD goes in swingin'; but gets, ironically, taken out from behind by someone with a billy club (well, a club). Hulk gets blinded (somehow) and forgets to just swat whatever is in front of him. Val is still tied to the upside down cross (which should have been a specialty for Damian, as the Son of Satan). Our issue ends with DD about to be added to barbecue, alongside Val, while Hulks is helpless. Thoughts: Really great art in this, from Sal and Bob Mcleod. McLeod cleans up Sal's renderings and gives them some "oomph." Buscema does some nice design work with the Caduceus image (minus the wings). Women are still being treated as second class here, with Val getting a brief moment of baddassery, before being returned to damsel-in-distress status. Clea, who is a pretty strong sorcerer in her own right, has trouble with just a bit of telepathic contact. It's not like she went toe to toe with Dormamu or Umar; or something. Hulk fluctuates between weak as a kitten and the wrath of god in these things, especially here. Lot of plot convenience going on, if you stop long enough to think about it. gerber mostly keeps it moving to try and not get you to think about it. 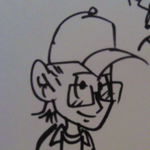 Jack Norris is running off into the fray, though that usually results in him getting kicked around a bit. we'll just have to read next issue to find out if that holds true. The upside down cross burning seems more in line with a Satanic cult, rather than KKK-wannabes; I wonder if it had more to do with obscuring the crucifix imagery or was a deliberate occult atmospheric. Question is, can fire really hurt Val? She does inhabit a human body; but, Amora's enchantments gives her Asgardian powers and constitution. We'll just have to see. Personally, I would have had her wake up, go, "Seriously? I smash walls; fire is easy!" Then break loose, snap the cross into twigs, then do the same to the Serpents, while the boys sit on the sidelines with reaction shots, with a lot of "Ooh! ", "Ouch!" and a couple of "Aaarghs! ", after a couple of snakes get it in the goolies. Creative Team: Same, except Jack Abel (sadly) replaces Bob Mcleod on inks, Ray Hooloway takes over lettering, and Petra Goldberg handles the colors. which seems to wake up the crowd, who are bigoted. but not ready to start roasting people (one even starts to drop the N word and changes in mid-stream!). The crowd attacks and DD and Hulk starting swinging at massed snakes. The tuck tail and slither away and DD and Jack free Val and carry her back to the Sanctum (once again, Val is saved by a man). Doc, Daimon, Nighthawk and Cage follow the tunnel to an office, which Nighthawk recognizes. he pokes around and verifies that it is Pennyworth's office and realizes he has been funding the snakes! He's slightly miffed and grabs his jetpack and wings (hidden in Pennyworth's closet, with Dragonfang and Hank's zap gun) and goes off to tear a new money hole in Pennyworth. After the bodies have been pummeled, Nighthawk flies off to pout about his responsibility in all of this. Thoughts: Bang up ending to a great storyline. Gerber concocted a pretty darn good plot and it flowed pretty well, despite some contrived situations and a lack of respect for Valkyrie. Pennyworth as the puppet master was definitely unforeseen, though nowhere near as much as the revelation of his race and self-loathing. When Cage is about to turn him into a wet spot on the floor, he calls him an "oreo." Guess they weren't quite willing to go to Uncle Tom. This did get, rather wildly, to the heart of a battle that has raged over time, with a depiction of a black man ho is more than happy to sell out his own race, if it gains him an advantage. The behavior is beyond race, as it is true of anyone who tries to gain an advantage, at the expense of others. However, it is even more despicable behavior when one is part of an oppressed minority and one sees the behavior in "One of their own." Gerber shows that he is going deeper in his stories, than previous dalliances with racism, at Marvel, as it isn't as cut and dry as some white guys in hoods attacking African-Americans. Gerber adds the twist of a black man orchestrating things for financial gain. Granted, it's something you could see in a Blaxploitation film, which shows the influence that 70s cinema had on Marvel Comics. Jack Abel is a bit of a come down from Bob McLeod, though better than Coletta. Valkyrie is still mostly a bystander, apart from stopping Luke Cage. Given the code of honor that Val adhere's to, you'd think she'd be more willing than the rest to let Cage have his judgement, with oc being the more likely vessel of reason. ELF WITH A GUN in the House!!!!!!!!!!!!!!!!!!!!!!!!!!!!!!!!!!!!!! The reason to read the Gerber Defenders, above all else! 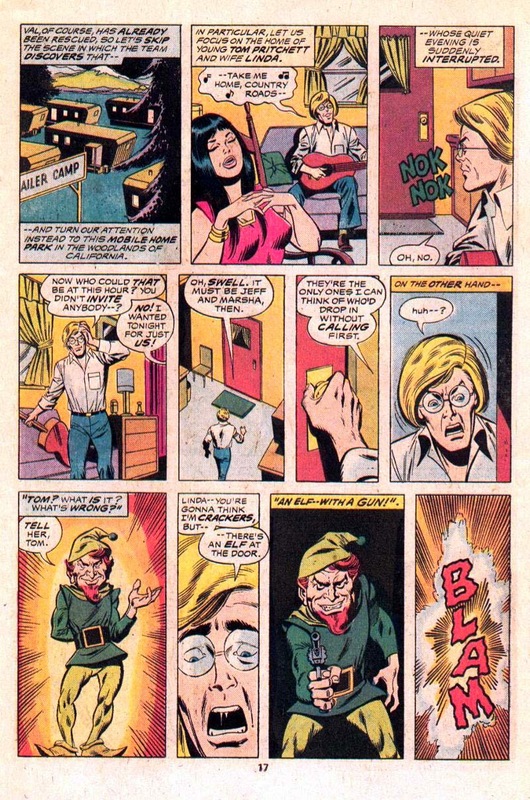 Elf with a Gun was the wildest, most out of the blue twist to hit comics. 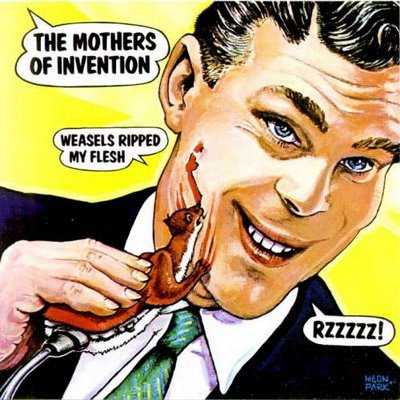 Gerber uses the character to depict random violence; but, it's such a demented random violence you have to come back to find out what is going on. Next up, it's time for the Guardians of the Galaxy! Just receiving Defenders #26-29 now, so it looks like I'll be poised to read along with you for those four issues (hoping #27 will show up before the end of the week and complete the mini-run)! When I was looking for the cover image from above, I found several others with the same theme, including one with otters. Must have been a thing. 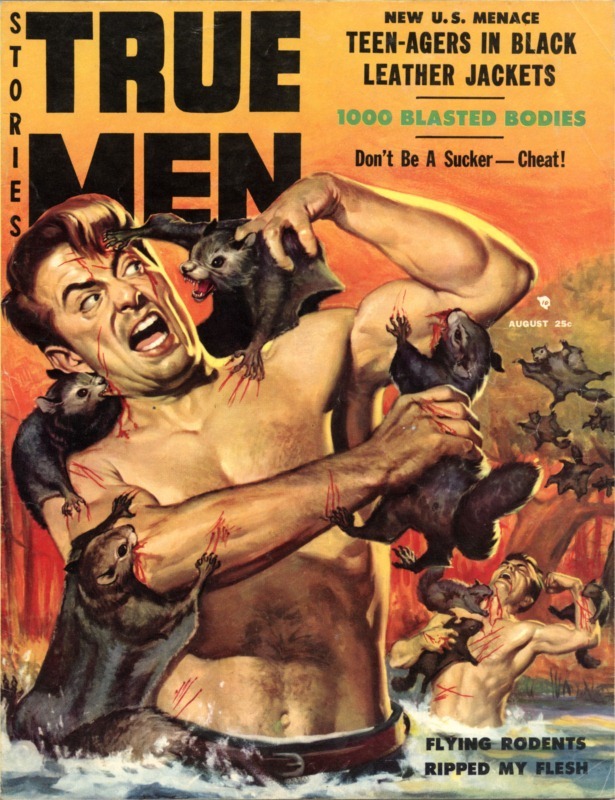 I knew the squirrel one, from a Taschen retrospective of those old men's magazine covers, edited by Dian Hanson. We got the thing for our bargain section, when I worked for Barnes & Noble and I just had to buy it, with all of that demented imagery, like the squirrels and similar stuff; not to mention some of those really great illustrators who worked on them. It was Man's world back then, pretty scary! Either this is a typo, or you're not from the New York area. Greenwich is a town in Connecticut. Dr. Strange lives in Greenwich Village, a neighborhood in lower Manhattan. Great reviews though! I was buying and reading these as they came out, and you're bringing back good memories. No, I meant Greenwich Village; but, didn't want to keep writing the whole thing. I kind of assumed that anyone generally familiar with Dr Strange knew the Sanctum Sanctorum was located in Greenwich Village. Ah, I understand. 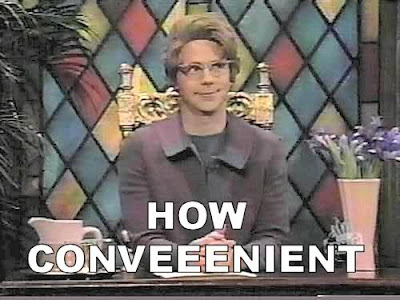 When New Yorkers don't want to say or write the whole name, they use "the Village", because Greenwich is in Connecticut, but "the Village" might not be clear to everyone here. There's no easy way to abbreviate. 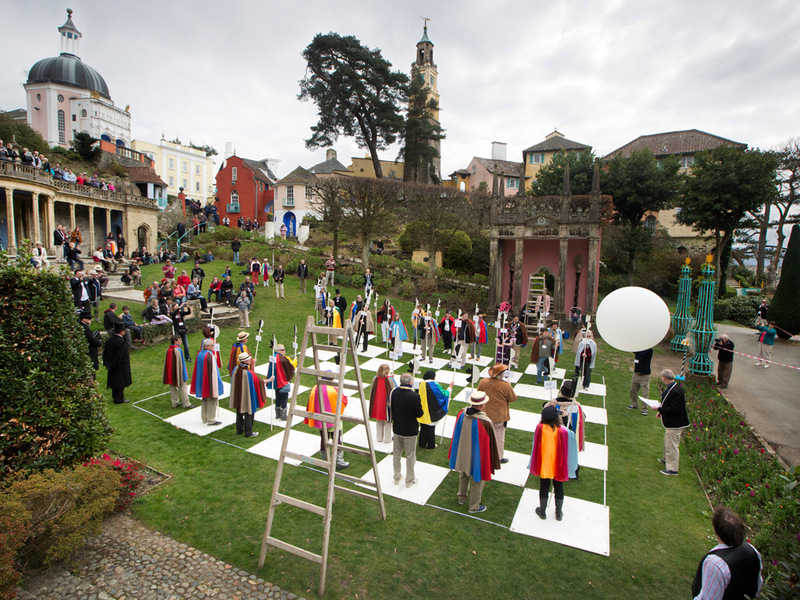 I have seen Chess being played by Human in costumes in London and it was a fascinating to see this and that picture brought back memories of that ... that's a cool picture and thanks for posting it. Mel Brook's History of the World is echoing in my head now: Knight take Queen, Pawn take Queen, Bishop take Queen.....Expletive Deleted....It's good to be the King! THE GUARDIANS OF THE GALAXY!!!!!!!!!!!!!!!!! In that story, it is the year 3007. The solar system is a united system of Earth and her colonies, The United Lands of Earth (should be United Planets; but, the Legion already had that). Jovian space militia soldier Charlie-27 arrives back on Jupiter, to discover it has been conquered by the reptilian Badoon, and people put in concentration camps. Charlie escapes via a matter transmitter and end up on Pluto, where he is saved from the Baddon, by Martinex, a crystalline man. Each colony features people who were genetically modified to live in the environment, with Jovians being of greater, denser mass, and the people of Pluto living in crystalline form. The two peoples have been enemies; but, Charlie and Martinex work together, for mutual survival. On Earth, Major Vance Astro and Alpha Centurian Yondu are captives of the Badoon. Astro was an astronaut form the late 20th Century, who went on the first long duration space voyage, arriving on Alpha Centauri, after a 1000 years in suspended animation, encased in a suit that preserves him. However, during that time, Earth discovered faster-than-light technology and arrived before Astro and he is welcomed by humans. The Baddon have kept him from their slave discs, because of his 1000 years of knowledge. They offer him a deal to betray humanity and he seems to turn on Yondu, a native of Alpha Centauri, with blue skin and a red fin on his head. Astro takes Yondu's bow and fires an arrow, which Yondu then commands via whistles and takes out the Badoon guards. They meet up with Charlie and Yondu, mistake their intentions, fight, make-up and head off in search of a supposed rebel colony. That was the Guardians one and only appearance, until they met up with Thing and Captain America in Marvel Two-in-One #4-5, where they help them gain control of the future New York. Creative Team: Steve Gerber, Chris Claremont, Gerry Conway, Roger Slifer, Len Wein and Scott Edelman (Whew! )-plot; Gerber-script, Don Heck-art, Mike Esposito inks, Dave Hunt-backgrounds and letters, George Roussos-colors, Len Wein-editor. ...and witnesses the emergence of the passengers: Major Vance Astro, Yondu and Martinex. In Manhattan, at Times Square, Eelar is creating havoc and Charlie-27 is just a few blocks away, escaping from hospital security and the police, who want to question him about his attire. He runs right smack into Eelar's mess, just in time to see the Hulk attack the creature. He zaps Aragorn and Val draws her sword, which conducts the electricity to her. Doc uses a mystic whammy and subdues him. Charlie hides out and watches. Back in Saugerties, Nighthawk meets the 3 Guardians and they fill him in about coming from the future. They track Charlie's position and teleport to him, while Martinex remains behind, to encounter the boy, who has found the ship. Back on the Captain America, Martinex learns the kid's name: Vance Astrovik, aka, the future Major Vance Astro! The rest of the issue is a reprint of Daredevil #62 (Roy Thomas & Gene Colan), where DD runs up against Nighthawk, from his Squadron days. Thoughts: Um...................yeah. Not the greatest story in the world and not the best re-intro to the Guardians. The story is all over the place, probably a victim of the "Too many cooks" syndrome. Heck's art is less than spectacular and Esposito isn't adding anything to them. 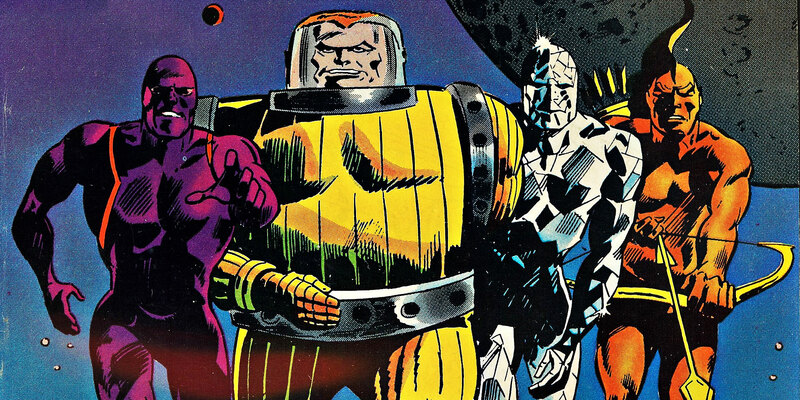 Quite frankly, there is little reason to read this, apart from it featuring the Guardians' crash landing and meeting with the Defenders, to set up the storyline in the regular series, as the defenders aid the Guardians in battling the Brotherhood of the Badoon. The ending ties the mess of a plot to Marvel 2-in-1 #5 and Silver Surfer #2, without telling us much about those two comics. That is something that used to tick me off heavily, with 70s Marvel. 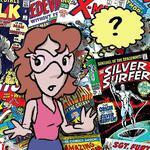 They would be all over the place, referencing or recapping stories from other comics. It wasn't easy to get your hands on back issues, in those days, either. It's part of why I preferred DC, as they did very few continued storylines, in that era (until some of the Marvel writers started coming over), and usually kept them to two parts. Had this been my first Defenders and Guardians issue, I wouldn't have become the huge fan I am. Thankfully, it wasn't. That issue is still to come.